We are pleased to announce that Roy Whitten, co-founder of international sales consultancy Whitten & Partnership, has once again been invited by Nobel Peace Price nominee Professor Ervin Laszlo to speak at the conference of the prestigious Laszlo Institute of New Paradigm Research. Taking place in Bagni di Lucca, Italy, from 23 to 24 May 2017, this year’s conference is titled “Symposium on the New Paradigm in Politics & Economy”. 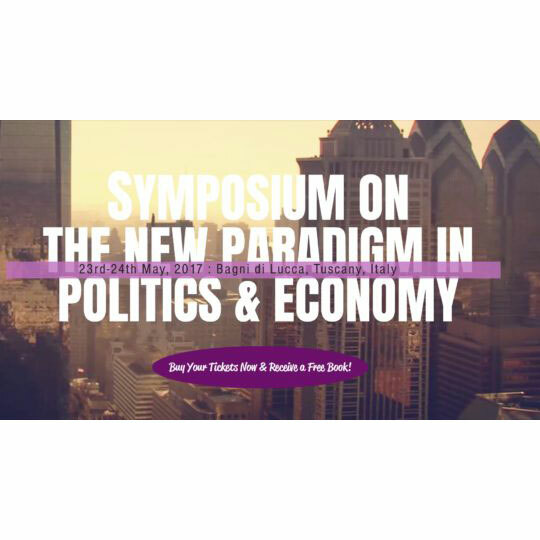 The two-day event brings together some of the world’s leading experts and thinkers who recognise that there is a need for change in politics and business and who will present new approaches to tackle the world’s problems. Roy’s speech titled “A New Paradigm for Sales”, scheduled at 2.45pm on the second conference day, will give a report from the front line of sales consulting about how a new paradigm for selling is offering both sellers and buyers the possibility of collaboration instead of competition, and education instead of manipulation.